Low-Density Polyethylene (LDPE) is a thermoplastic made from the polymerization of ethylene polymer. It possesses superior properties such as excellent resistance to dilute and concentrated acids and has enhanced resilience. It is one of most widely preferred industrial plastics and finding its applications in the flexible packaging industry, construction industry, automotive industry, and many others. The growth of the packaging industry, rising demand for low-density polyethylene from the construction and automotive sectors and the growth of the textile industry are the major factors responsible for boosting the growth of the global low-density polyethylene market. Low-Density Polyethylene is widely used in the automotive industry to manufacture automobile parts as LDPE is tough, flexible and light in weight. According to the International Organization of Motor Vehicles Manufacturers (OICA), 96.8 million vehicles were sold globally in 2017 compared to 93.9 million and 89.7 million in 2016 and 2015 witnessing a growth rate of 3.08% in 2017 and 4.6% in 2016 respectively. Moreover, according to a survey report by the construction intelligence center, the volume of construction industry output grew by 3.1% in 2018 compared to USD 10.6 trillion in 2017. Moreover, according to Oxford Economics, the volume of construction output will increase by 85% worldwide in 2030. Owing to these reasons, the growth of the automotive and construction sectors are significant factors boosting the growth of the global low-density polyethylene market. However, environmental concerns over plastic pollution, potential substitutes of low-density polyethylene such as high-density polyethylene and volatility in raw material prices such as crude oil and natural gas are the major factors restraining the growth of the global low-density polyethylene market. Plastic pollution is a rising concern these days owing to the non-degradable and non-decomposable nature of plastics. According to the United Nations Environmental Organization, more than 300 million tons of plastic waste is produced annually, which is the same as the total weight of the entire human population. It is estimated that more than 8.3 billion tons of plastic has been produced since the early 1950s and only 9% of this has ever been recycled and the unrecycled plastic ending up either in a landfill or in the natural environment. Owing to these reasons, environmental policies concerning the non-degradable nature of plastics is a crucial factor impeding the growth of the global low-density polyethylene market. The Global Low-Density Polyethylene Market has been segmented by type of feedstock, application, and geography. Based on the Application, the market is segmented as flexible packaging industry, automotive industry, construction industry, insulation and coax and others. The flexible packaging industry is the dominant segment of the global low-density polyethylene market owing to the high demand for low-density polyethylene products from the packaging industry. According to the Flexible Packaging Association, the world flexible packaging market in 2016 was worth USD 86 billion in 2016 and is growing at a rapid rate owing to the rising food and beverages industry and increasing demand for packaged food and beverages. Owing to these factors, the flexible packaging industry is anticipated to dominate the global low-density polyethylene market. The Global Low-Density Polyethylene Market is segmented into North America, Europe, Asia Pacific, South America and the Middle East and Africa. The Asia Pacific region is further segmented into the following areas as India, China, Japan, Australia, South Korea, and others. The Asia-Pacific region is the dominant segment of the global low-density polyethylene market owing to the rapid growth of the Flexible Packaging Industry and Automobile industry in countries such as China, Japan, and India. According to the International Organization of Motor Vehicles Manufacturers (OICA), out of the 96.8 million vehicles sold globally, more than 48 million cars were sold in the Asia Pacific region with China alone accounting for more than 29 million car sales followed by 5.2 million in Japan and 4 million in India. The number of cars sold in the Asia Pacific region in 2016 was 4.69 million compared to 4.34 million in 2015. Moreover, according to the Flexible Package Association, 3,506 billion packaging units were sold in 2017 out of which 679 billion packaging units were sold in the Asia Pacific region occupying 24% of the global total. Owing to these factors, the Asia Pacific region is anticipated to dominate the global low-density polyethylene market. New product launches and expansion of facilities are some important strategies adopted by most of the companies to contribute to the growth of the company and improve their market growth rate. For instance, in September 2018, ExxonMobil has signed an agreement with the Guangdong Provincial People’s Government concerning the construction of a chemical complex in China which will include two performance polyethylene lines to meet the expected demand growth for chemical products in China. Mergers and acquisitions are some other critical competitive strategies incorporated by significant players of the market to enhance their market competitiveness. For instance, in August 2018, Lyondell Basel, one of the largest plastics and chemicals manufacturing company acquired A Schulman Inc, a leading supplier of high-performance plastic compounds. The Global Low-Density Polyethylene Market is segmented based on the type of feedstock as natural gas, naphtha, and others. Based on the application, the market is segmented as flexible packaging industry, automotive industry, construction industry, insulation and coax and others. Based on geography the market is segmented into – North America, South America, Europe, Asia Pacific and the Middle East and Africa. The report profiles the following companies- ExxonMobil, Dow Chemical Corporation, Lyondell Basel, Reliance Industries, Borealis AG, BASF SE, SABIC, Sinopec, Toray Industries Inc, and Formosa Plastics. • Visualize the composition of the Global Low-Density Polyethylene Market across each indication, in terms of type, application, material, and function highlighting the key commercial drivers, restraints and market players. • Identify commercial opportunities in Global Low-Density Polyethylene Market by analyzing trends and co-development deals. 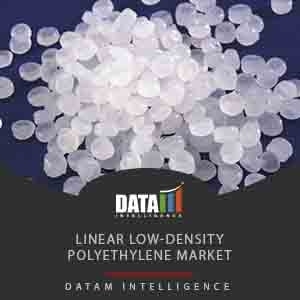 • Excel data sheet with thousands of data points of the Global Low-Density Polyethylene Market – level 4/5 segmentation.